Tranter-Sinni Gallery is pleased to invite you to attend their VIP opening reception on September 29th, 6-9 pm. Join us in celebrating the anticipated opening with Jamie dePasquale in attendance. Established in 2009, With its first platform in Caledon, ON Canada. 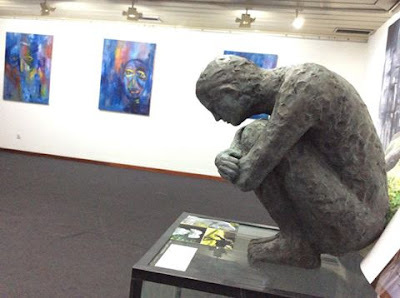 Tranter-Sinni Gallery is a secondary market gallery specializing in work by Modern, pre and post-war, contemporary European and American artists. 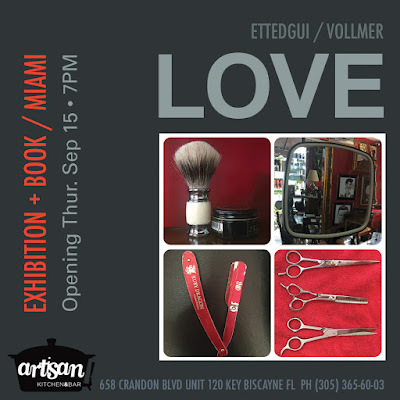 Located in the world renowned Museo Vault Building at 350 NW 29th St. Miami, Florida. Born February 16th, 1953 in Brooklyn, New York. In 1976 Jamie began his art series with his pattern paintings, inspired by a viewing of a horse against a brick wall that would help influence his idea of electric, 3 dimensional images. Pretty abstraction with an idea of vandalism through his ripped canvas. He went on to show his work at the Monique Knowlton Gallery. Showing a variety of his cartoon portrait, stylized, non-existent animals. From dogs to lions, Jamie's lion theme making a huge impression on the art scene in New York. Jamie dePasquale received an outstanding review for his series by John Russel, who was one of the foremost art critics of the New York times. 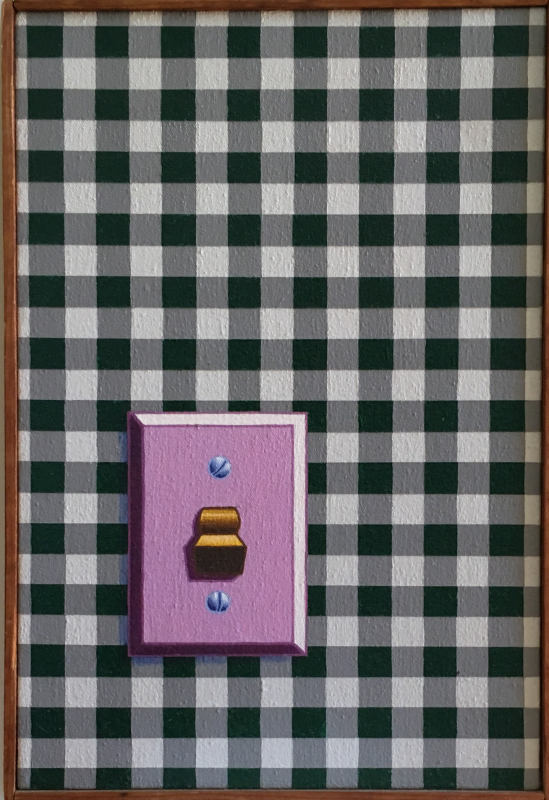 In 1986 until 1991 Jamie dePasquale began working on his transitional works. Influenced by Roy Lichtenstein's organized pictures planes, 2 dimensional patterns and pieces lead him to his brick series to include the brick house and brick tree. He began drawing a series from this. His hobby of crosswords began to take on a life of their own. He was fascinated by the squares of how the puzzles can do anything, how they can be manipulated by shape and color. Like a mathematical equation he would see the same in a stack of playing cards, Mary-Jane wrappers, mattress labels or domino's. Connecting the dots, leaving out edges and creating shapes and abstraction through his paintings. 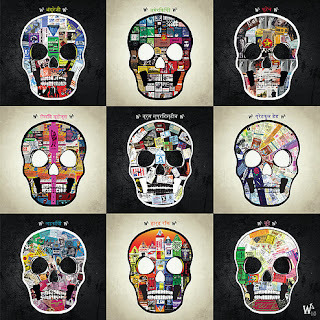 This series featuring his unique style of Cubist, pop art. Leading into 2000, Jamie dePasquale began experimenting with sculptures and discovered the idea of scale in his works. Creating his island paintings, which will be featured, in his upcoming exhibit with Tranter-Sinni Gallery. 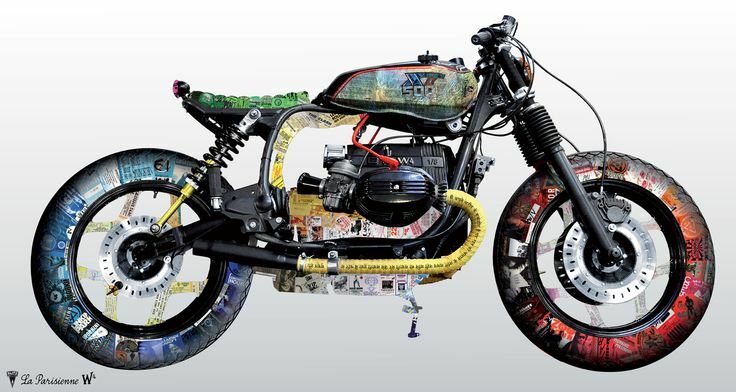 Jamie dePasquale for over 25 years worked side by side in the studio with Lichtenstein, observing his techniques and offering his paintings for critiques. DePasquale observed Lichtenstein constantly moving from one painting to the next, always evolving his technique to stay fresh. DePasquale adapted this approach to his technique, mastering one technical aspect and then moving to the next. This exhibition portrays this series of techniques. 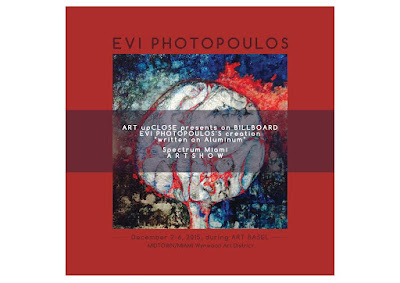 Has had solo exhibitions at; The Monique Knowlton Gallery, NYC, The Parrish Art Museum, Southampton, NY, The Tony Shafrazi Gallery, NYC, The OK Harris Gallery, NYC, The Stephen Kessler Gallery, NYC, and Gallery Shchukin Gallery, NYC. Jamie received special recognition from John Russell, The NY Times Art Critic and Juror, for a group show titled "California Collections". His work has also been included in many group exhibitions since the mid 1970's. The gallery provides an intimate space for exhibitions of art and sculpture, With a strong reputation for historically focused exhibitions that have an excellent impact both critically and on the secondary market. Serving an international clientele, we aim to work closely with private collections, estates, foundations and other institutions to promote the highest quality, most significant and valuable art for our collectors. 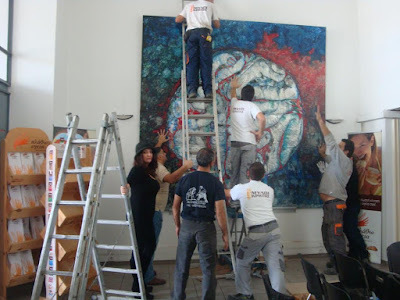 Tranter-Sinni Gallery team offers expert advice and personalized consulting services in guiding clients step by step thru the delicate process of building a noteworthy art collection. The gallery presents ten artists solo exhibitions per year, and it proudly promotes its roster at major International Art Fairs. #SAVEARTSPACE brings public art to Los Angeles, showcasing local artists on advertising spaces throughout the area beginning January 16, 2017. 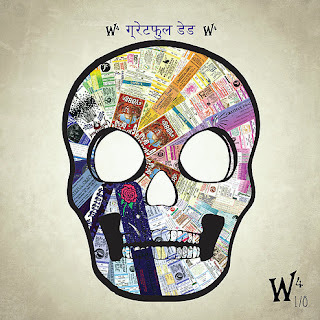 The exhibition is entitled, "We Only Have One Place To Live." The artists are responding to the most important global concern, which affects all of us—the current and changing state of our natural environment. Recently, scientists and researchers identified that we are now living in the first epoch in Earth's history where our environment is being actively changed by human activity across our planet. "We Only Have One Place to Live" aims will explore the tension, between human society and the environment; between static and change. The exhibition is asking local artists to voice their passionate concerns about how their changing environment is affecting our globalized society, not just through environmental phenomena—such as prolonged droughts, wildfires, rising sea-levels, air quality, water conservation and more—but also the philosophical and existential questions that arise when we are both the problem, and the potential solution, to the crises our world faces. We invite artists of all ages & talents in the Los Angeles area to submit! Artists are invited to apply between September 14th and November 23rd, 2016. There is a $10 fee per image to participate, each donation is a tax deduction and goes to producing public art. Only digital format entries will be eligible, each artist is encouraged to submit up to three images. 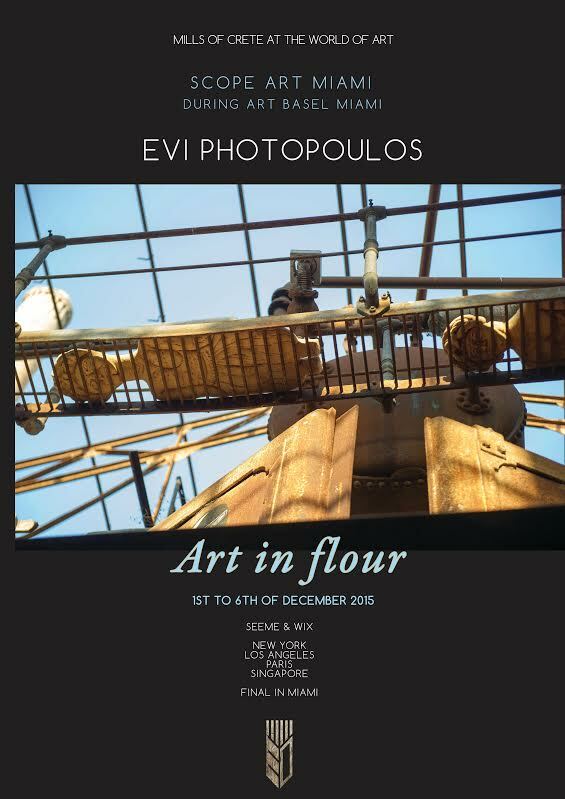 Submissions will be accepted at saveartspace.org/losangeles. A qualified panel of Curators will consider each submission's pertinence to the theme of the exhibition, the context of the images and association to the public space. Curators include Justin Aversano and Travis Rix, whom together have curated the previous four public art exhibitions by #SAVEARTSPACE. All submissions will be featured on #SAVEARTSPACE social media pages with the permission of the artist. The complete list of rules for submissions can be found atsaveartspace.org/submit. 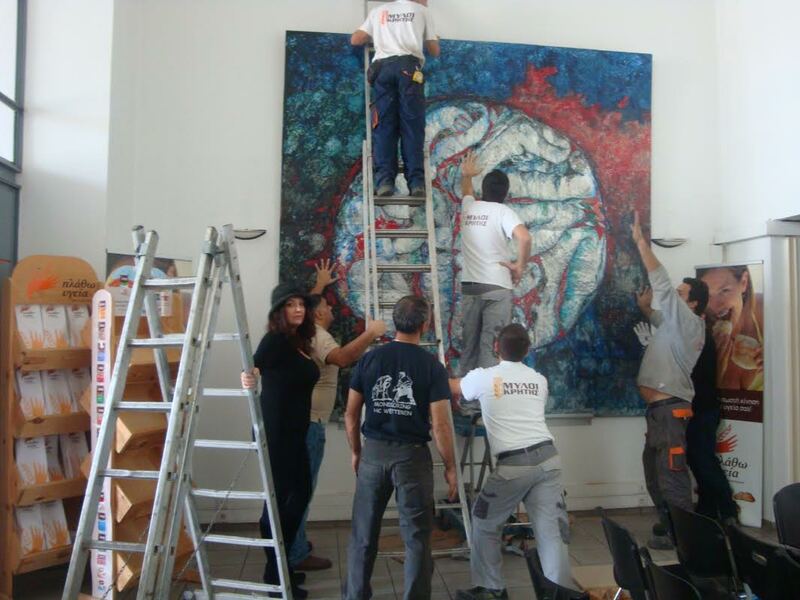 #SAVEARTSPACE has previous held four Public Art Exhibitions in New York City and one in Miami, Fl. 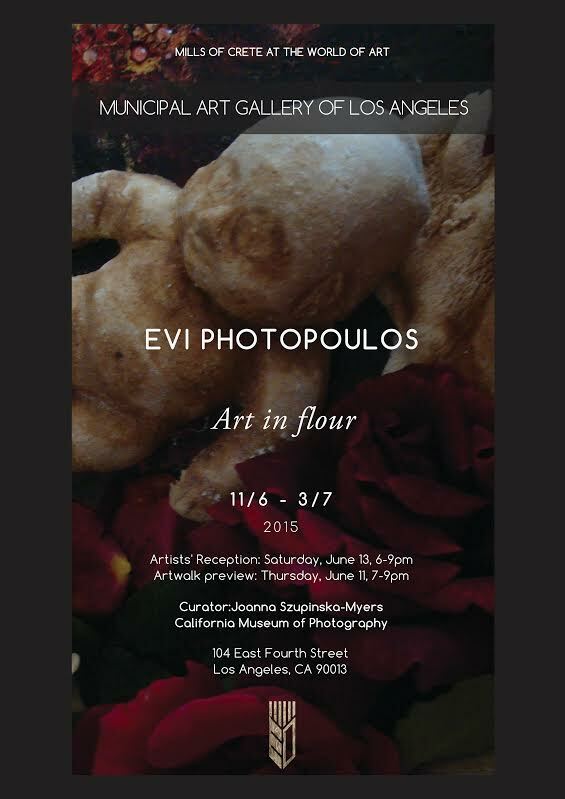 If you live in the Los Angeles, California area, please consider submitting your art to our Public Art Exhibition! Justin Aversano received his BFA in Photography at School of Visual Arts in New York. He is also owner and operator of professional photography lab Brooklyn Lightroom, based in Bushwick, Brooklyn. 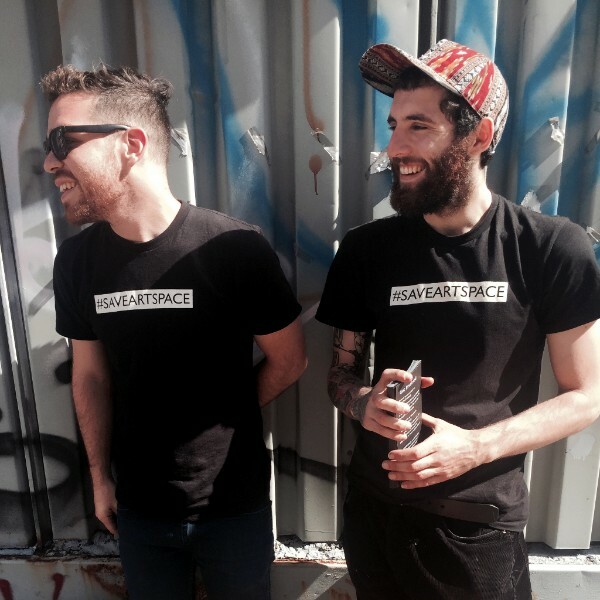 Justin is an active artist and curator, working within the greater Bushwick and Brooklyn art scene. He has organized and curated a number of shows along with The Living Gallery, and when not creating, Justin can be found skateboarding around, taking his dog Tia (short for Tortilla) for walks, and socializing with friends. 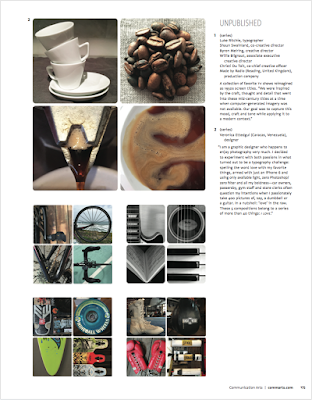 Travis Rix received his BFA in Photography at School of Visual Arts in New York, and was featured in the 2014 Mentors Show at the SVA Gallery. When not out on the streets looking for new locations for art installations, or helping within the community, you can find Travis socializing in the park, painting, or spending time with friends and family. Also, a special guest curator to be announced at a later date. #SAVEARTSPACE is dedicated to producing public art exhibitions. 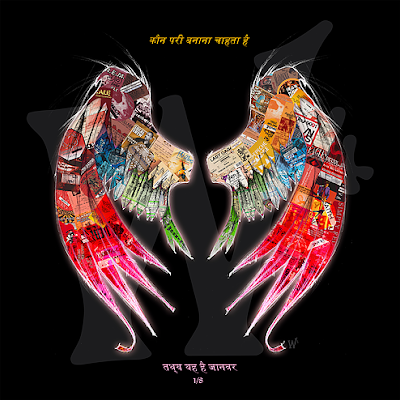 We work with contributors to provide local artists visual platforms in the public space. By creating an urban gallery experience, we aim to affect and inspire a new generation of artists. 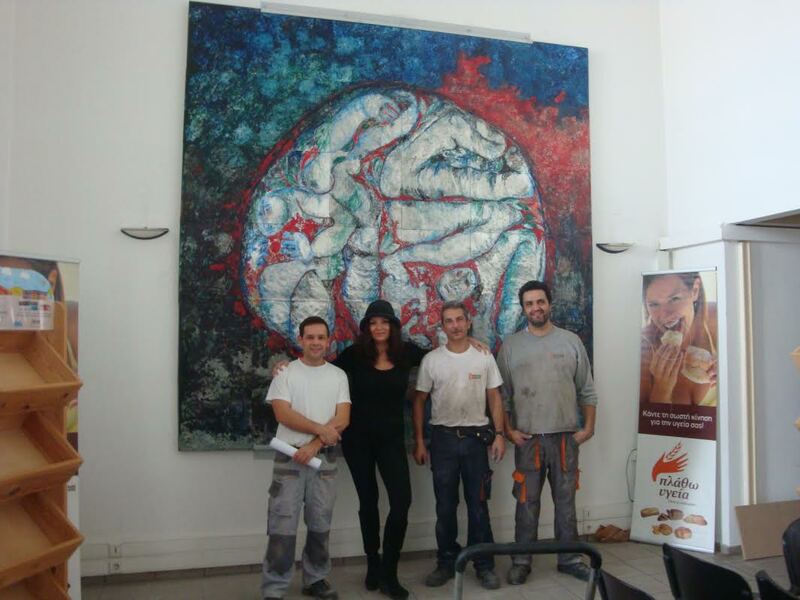 Mills of Crete is a place of constant inspiration for the renowned multidisciplinary artist Evi Photopoulos, and her Sculpture Painting out of Steel a Hidden Masterpiece. Mills of Crete has become a place of creative ideas for the international art star. The magical place has motivated her imagination, giving birth to powerful and creative artworks. Using panels made of aluminum forged by hammer and other special tools on the anvil, almost a year in the making to create piece by piece, each one patiently fabricated and collectively united into a massive sculpture panel. The installation is placed on a wood panel using hundreds of steel nails with oil colors to paint various parts, painstakingly created for days and nights. Finally the masterpiece was complete, "Written on Steel", which was created at the Mills of Crete Workshop hanging atop the main building of Mills at the Bakery. This magnificent artwork remains hidden as it belongs to a private collection and has travelled digitally to many Biennales & Art Fairs in Miami, New York and beyond. But for the artist there is no limit for inspirations. The basements of the Mills will become the place for Photopoulos' next creation. She wrote a poem/script and makes the Short Film "You! 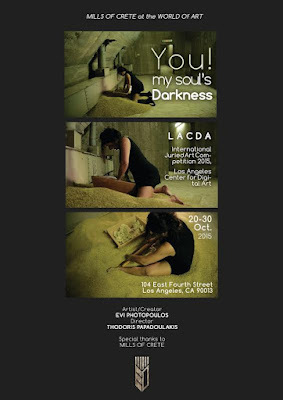 My Souls of Darkness", which has been selected from more than 40 International Film Festivals worldwide, the artist was awarded by the Italian Fine Art Association. 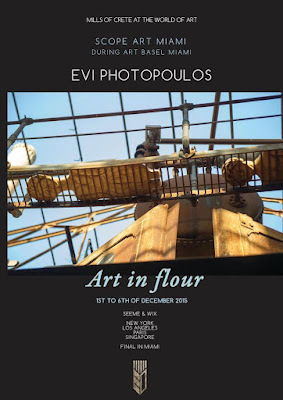 The extraordinary sculptures out of bread which were exhibited at the London Biennale, Mexico, the Louvre Museum, and the Los Angeles Municipal Art Gallery. 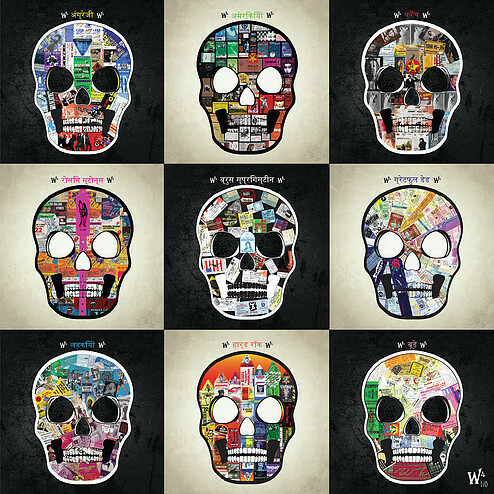 Miami-based visual artist Patrick Willard, aka W4, creates unique art with his personal collection of thousands of rock concert ticket stubs, backstage passes and VIP laminates, which capture a million magical moments from a lifetime spent traveling the world as a music journalist and television personality. 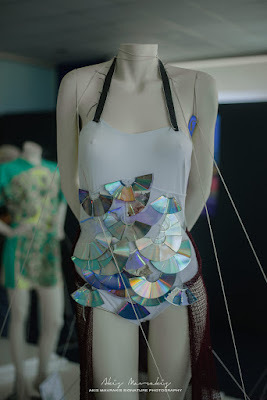 “These artifacts reflect thousands of unique musical events that collectively trace the arc of my personal and professional life”, explained W4. The artist has works on exhibit in Miami's Wynwood Arts District and West Palm Beach's Cultural Corridor. 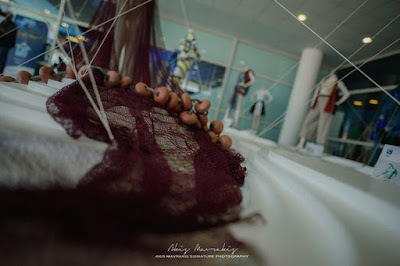 Check out select pieces at The Box Gallery located at 811 B Belvedere Road in West Palm Beach, Florida 33401. The gallery is owned and operated by two of South Florida's most respected art icons, Rolando Chang Berrero & Gary Kroman, featuring emerging and established artists. 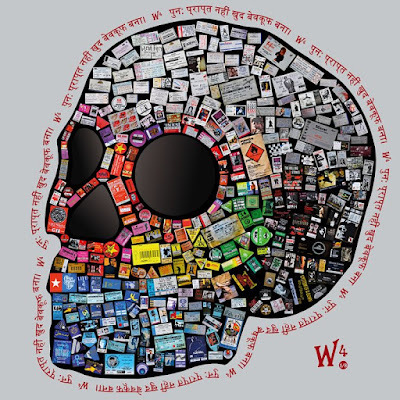 If you're in Wynwood, head over to Blank Canvas Gallery to enjoy select artworks of W4's on exhibit, located in the heart of the district at 46 NW 36th Street in Miami, Florida 33127. 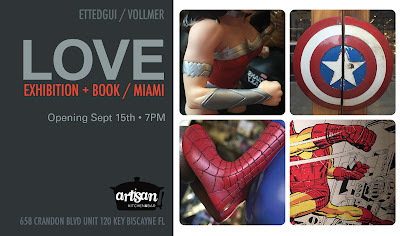 The artist also has works on display at Walt Grace Vintage Gallery in the Wynwood Arts District. “Walt Grace Vintage brings class to the neighborhood,” says The Daily Wood. 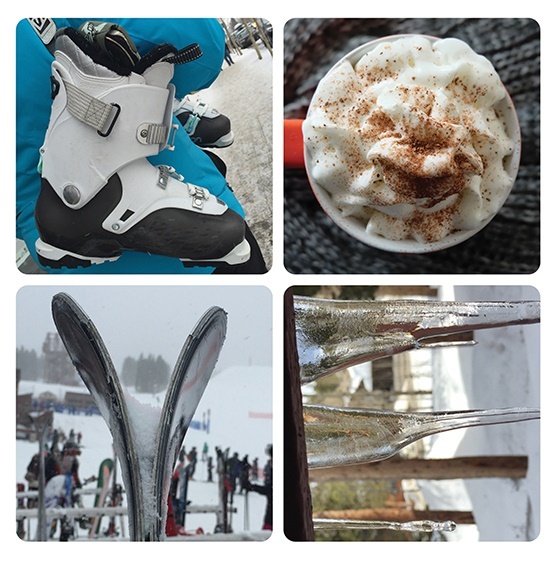 “It’s the kind of combination you’ve never thought of, but works together so beautifully. Cars and guitars. 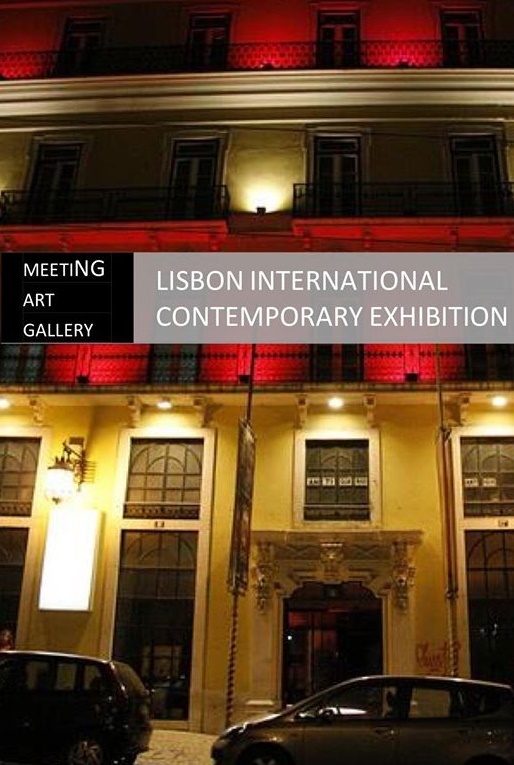 Meeting Art Gallery is organizing Lisbon International Contemporary Exhibition taking place October 1-8, 2016. 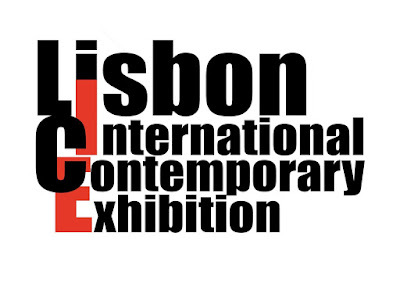 This is the 4th edition of the acclaimed international exhibition that will feature a selection of worldwide artists in Lisbon, Portugal - marking the 10th international exhibit organized by this gallery. The showcase is garnering a level of excellence within the global visual arts community, as the artists go through a rigorous selection and curatorial process lasting 3 months, 14 artists have been chosen to participate. 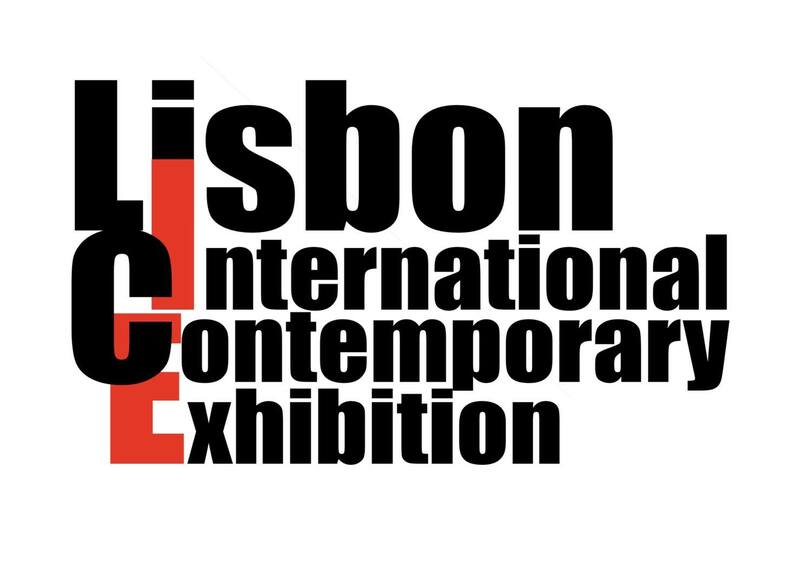 The lead curator for Lisbon International Contemporary Exhibition is Goncalo Madeira with support from renowned global artist Natalia Gromicho. The Vernissage will take place on October 1, 2016 at 5pm local time. Reservations for the Vernissage must be made by September 25th via email to: meetingartgallery@gmail.com; and will feature a selection of collectors and art critics. The exhibition will be open to the public from October 2nd through October 8th. The gallery opened on a very memorable day, April 25th 2013, when Lisbon gained its freedom from a dictatorial regime. 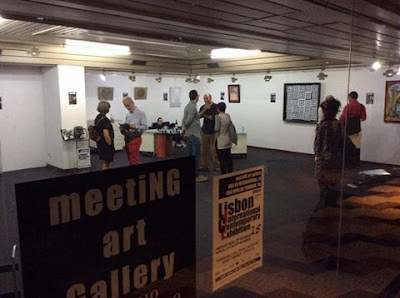 Located in Downtown Chiado, one of Lisbon's most popular areas, the opening was an incredible event with a solo exhibition of Natalia Gromicho's work titled 'Lisboa, dignos de nota', the artists tribute to the city where she was born and honoring the special day. Meeting Art Gallery is situated in Espaço Chiado, a shopping center in Downtown Chiado that was built to preserve “Ferdinand Wall”, a wall that protected Lisbon from attacks during the period of the Middle Ages. Chiado is one of the most iconic and traditional neighborhoods of Lisbon, located between Bairro Alto and the Downtown shopping districts. 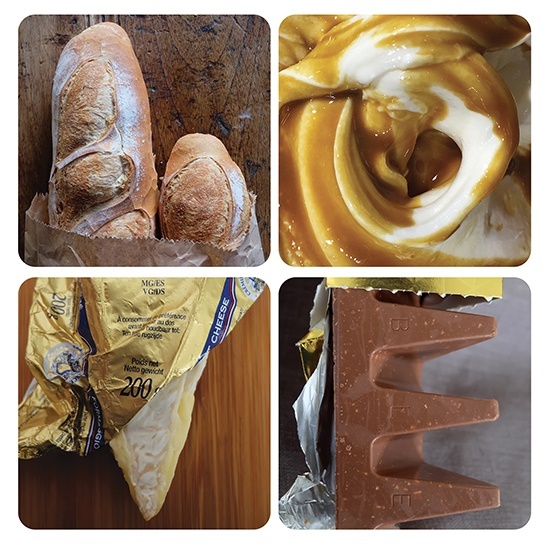 "Its location is very privileged with access from the street Rua da Misericórdia or the street Rua Nova da Trindade, right next to the Trindade Theater", explained Goncalo Madeira. Meeting Art Gallery generates tremendous traffic and visitors from the historical attractions of Chiado; the shopping, cafes, leisure areas and popular sites. 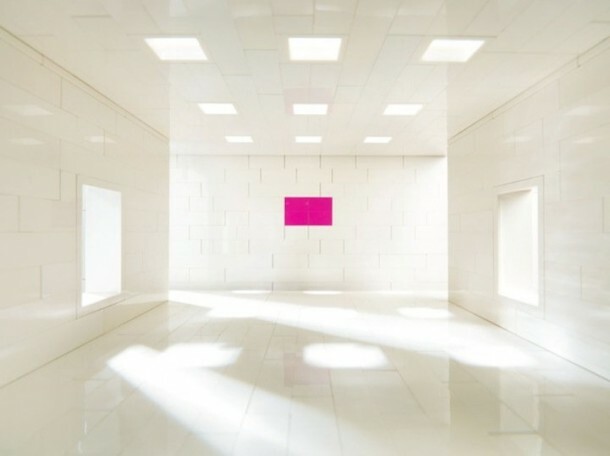 The gallery is a very large, open space with excellent lighting and sophisticated hanging systems. Services include fine art consultations, stretching and framing, premium paints and a variety of materials for artists on site, as well as many fine art products special ordered by request. "The idea was simple, we wanted to create a private, open space for artists without any limitations, obstacles, or barriers. Everyone is welcome to experience art and participate in the process through live painting sessions and workshops", explained Gromicho. 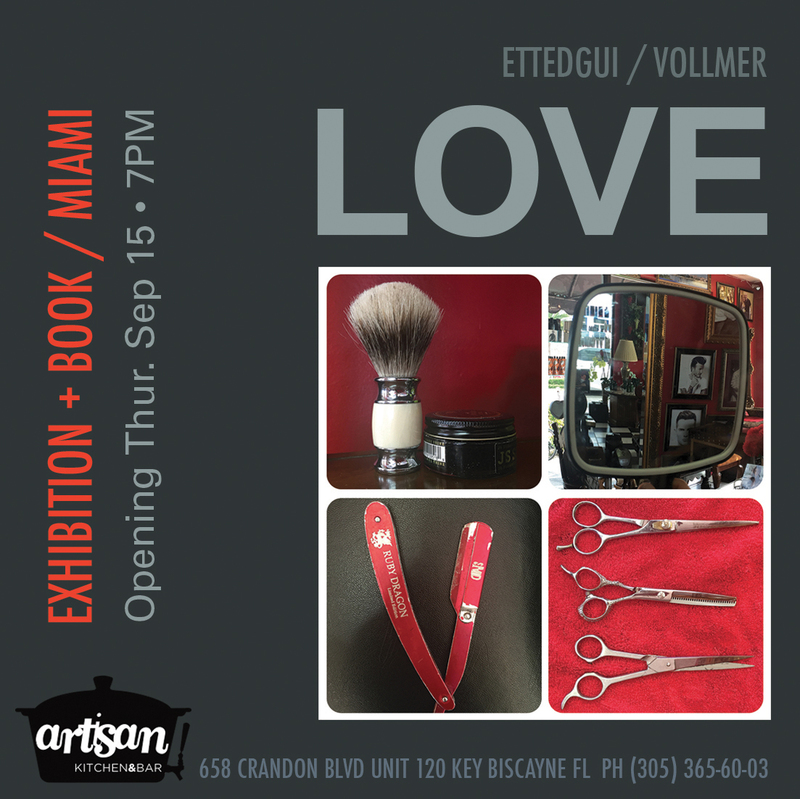 Love is hidden everywhere believes renowned artist and illustrator Veronica Ettedgui. She has a traveler’s eye, always searching for new things. But what Veronica Ettedgui is looking for in big cities, small towns, far away places and everyday life are unexpected typographies, specifically the four letters needed to spell LOVE. She is a Venezuelan-based graphic designer whose illustrations and photographic works have been exhibited throughout South America and the United States. For some time now she has been exploring a new world, LOVE: A Typography Challenge. It’s a fun project in which she is armed only with her camera and her desire to find the perfect picture. Ettedgui has earned quite a following, numerous exhibitions, proposals for future shows and an international award. “The first time I realized I was taking LOVE seriously was when I got an email from a California-based design magazine, Communication Arts, saying: ‘You are a winner’. 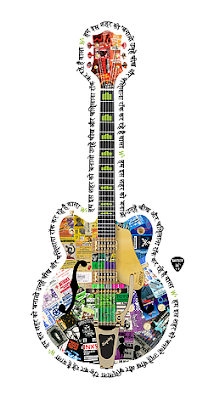 It explained that I had been awarded their Annual Typography contest among 1,740 entries. One hundred and forty two had been selected, but only four in my category! The good news didn’t stop there: ‘Your work will be published in our magazine’s January 2016 issue and a month from now you’ll get your Award of Excellence trophy’. I almost cried of happiness and surprise. Well… not almost, I did cry”, says Ettedgui. 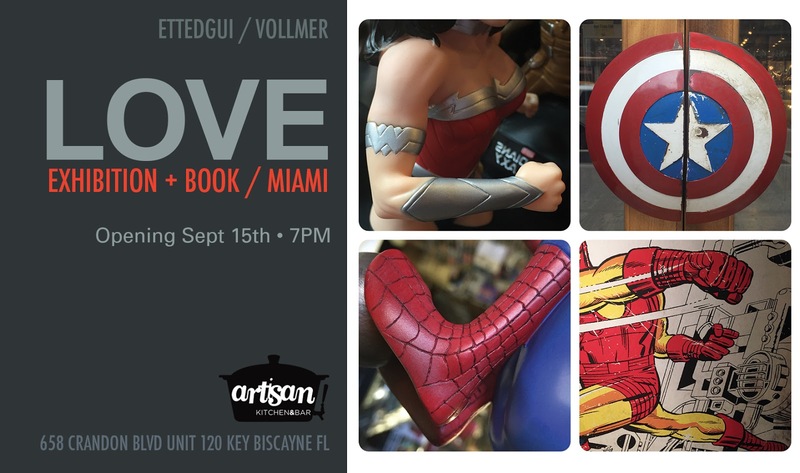 Ettedgui has an upcoming LOVE exhibition in Miami opening on September 15, 2016 at Artisan Kitchen and Bar in Key Biscayne, featuring a unique exhibition of 13 photographs on plexiglass from Ettedgui’s magical works spelling the word LOVE with bits and pieces of the artist’s favorite things. “Explore artist & illustrator Veronica Ettedgui’s ‘Love’ project that expresses the fleeting love of the small details we see in life through typographic portraits” -AIGA / Los Angeles. 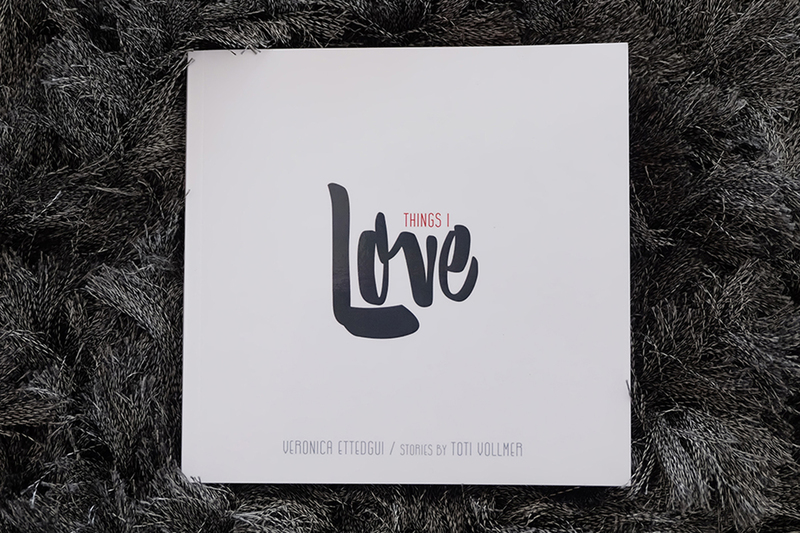 Also enjoy Veronica Ettedgui’s Book: Things I Love, a collection of 77 Loves and 77 Short love stories written by Toti Vollmer. 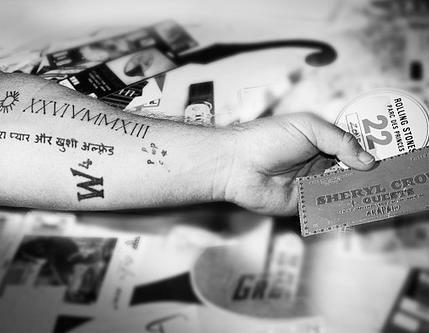 The project became a transcendental game in which she paired two of her passions, typography and photography. It all started with a few iPhone pics and from there it transformed into an interesting project for people around the world. 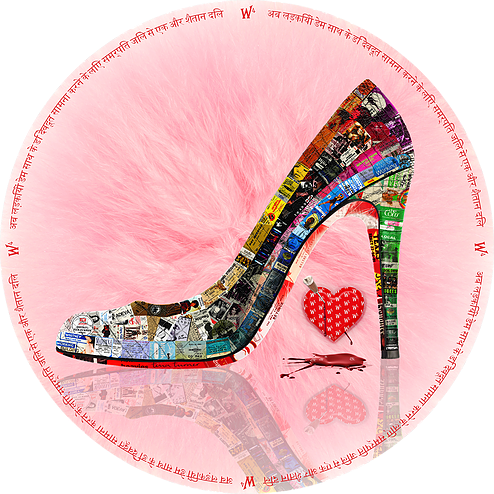 She believes that love is a universal theme and is happy to have found her own way to mix and mash her favorite things in meaningful art products. “Finding objects that transform into letters was a fascinating discovery that soon became a challenge: Where is that hidden ‘E’ on a bike? Regarding photography, I only have the basic training I got from Graphic Design School, but I’ve always been fascinated by it. I am looking for an aesthetic in which the letter, color and light are my allies. I barely use Photoshop for sizing or contrast, but don’t manipulate images or use filters. It’s a pretty virgin, raw work,” she says as she giggles. 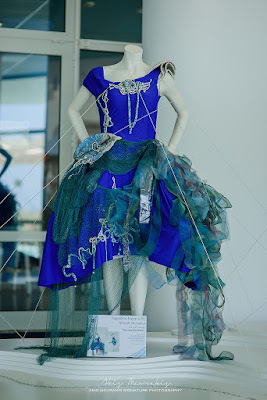 MEDASSET’s (Mediterranean Association to Save the Sea Turtles) exhibition of clothing made with yarn reclaimed from the sea has reached the second stage of its journey, after a month’s stay at Golden Hall shopping centre in Marousi. CRETAquarium, one of Europe’s largest and most contemporary aquaria, near Heraklion, Crete, has opened its doors to the “Healthy Seas Fashion Project” and presents the exhibition until the end of September. The exhibition was created with the support of the Representation of the EC in Greece, on the occasion of MEDASSET’s first anniversary as coordinator in Greece of the European initiative: “Healthy Seas: A Journey from Waste to Wear”. The “Healthy Seas” initiative aims to remove fishing nets that have been caught up on wrecks or snagged by rocky outcrops on the ocean floor. The deadly “ghost nets” go on trapping all kinds of marine creatures, such as turtles, dolphins, seals, etc., but once they are removed they can be processed, along with other waste products, and recycled to make ECONYL® – a premium quality yarn that is ideal for use in the manufacture of clothing and other products, such as carpet. The initiative promotes a new model of sustainable development that is based on the concept of a circular economy – maximising the potential of existing resources while reducing their waste. It is being run in 5 European states (Belgium, Italy, the Netherlands, Greece and the United Kingdom). Once visitors to the aquarium have admired the 2,000 individual marine creatures from 200 different Mediterranean species, they will have an opportunity to enjoy a unique exhibition that demonstrates what can happen when environmental awareness, fashion, and the principles of the circular economy meet. 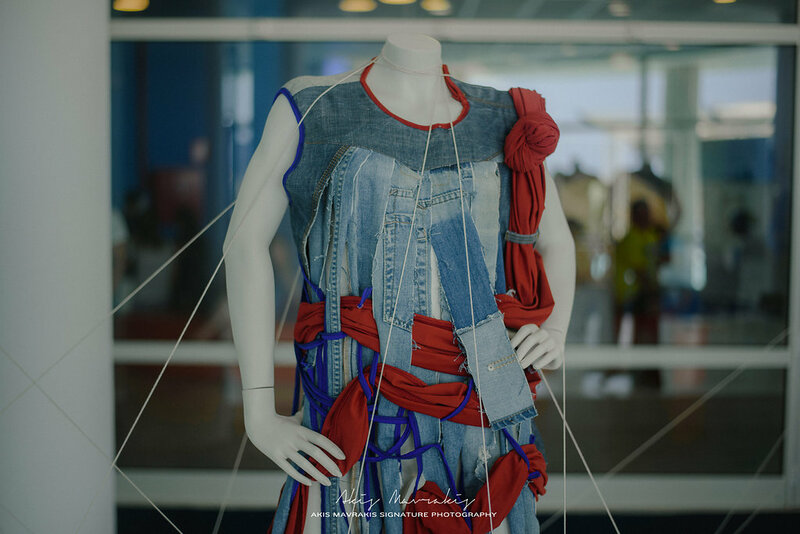 Behind-the-scenes videos illustrate how the Fashion Project came into being, while breath-taking underwater footage, which show just how damaging “ghost nets” can be to marine fauna, complete the experience. The garments displayed in the exhibition have all been created by students and recent graduates of the fashion department of AKTO College of Art and Design. 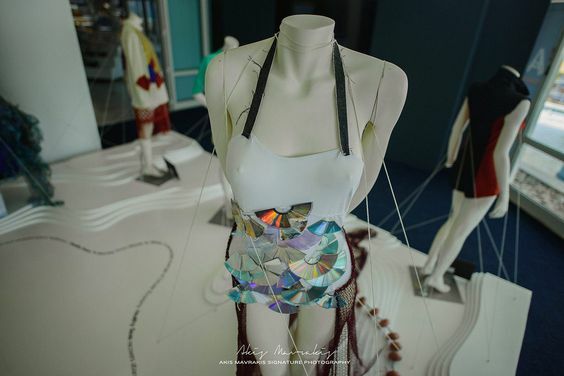 They represent the work of finalists in MEDASSET’s competition, “Healthy Seas: A Journey from Waste to Wear” Fashion Project, which took place in May 2016 in collaboration with the DoitEco Project. 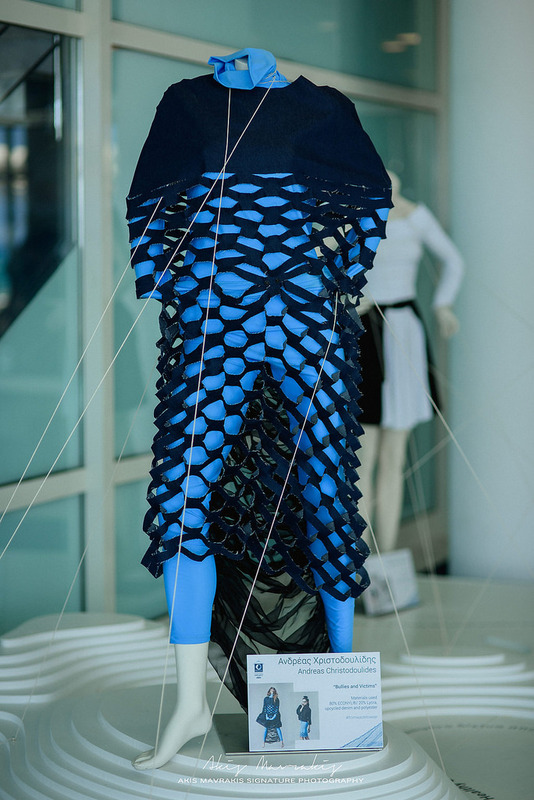 Each of the 10 exhibitors, chosen from an initial entry of 23, has used fabric woven in Italy from ECONYL® yarn together with other environmentally-friendly materials (such as organic cotton, plant-based dyes, re-purposed cloth, linen and canvas) to create a pair of garments based on a common concept; one a ‘ready to wear’ piece and the other a more ‘conceptual’ one. “Healthy Seas: A Journey from Waste to Wear” Fashion Project is run under the auspices of the Hellenic Republic Ministry of Culture & Sports, UNEP/MAP – the United Nations Environment Programme’s Mediterranean Action Plan under the Barcelona Convention, SEV Business Council for Sustainable Development, and the Greek Council for UNESCO. It is supported by the Representation of the EC in Greece, ASAP Athens, Kosmocar, ΑΝΕΚ Lines και Blue Star Ferries. 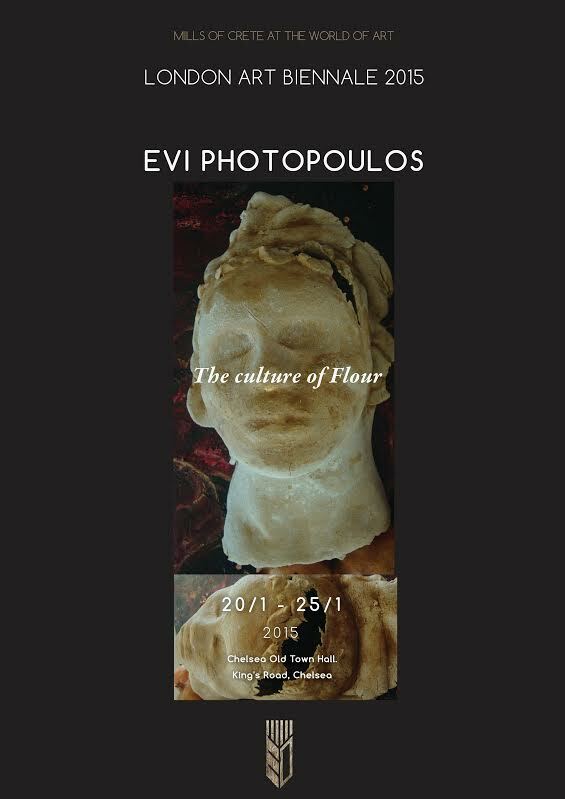 The exhibition stage was designed and built by Greek Architect Evi Polychroniadou.